In a memoir traversing some of the autobiographical territory covered in his previous books, poet and novelist Urrea (By the Lake of Sleeping Children, 1996; Across the Wire, 1993, etc.) delivers the last installment of his self-styled “border trilogy.” Urrea, born in Tijuana, Mexico, to a white mother and a Mexican father, says he’s not old enough to write his memoir, but he feels compelled to share his “observations”; this book is an assemblage of notes divided into several essays. 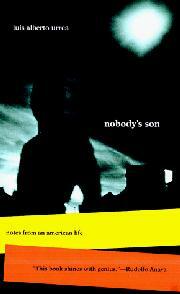 Part One, “Nobody’s Son,” expands upon the author’s sense of his Chicano self: He describes himself alternately as a son of the border and as nobody’s son. “Home isn’t just a place,— according to Urrea, —it is also a language,” and today he feels wraiths, his parents’ spirits, hovering over his shoulder as he writes. Too often this writing belies an overreliance on paradox and irony (he says he’s now nobody’s son yet everyone’s brother), but in describing his family’s emigration to the US, Urrea’s style is epigrammatic, employing quick stops and starts and short, one-sentence paragraphs. Part Two opens with stories of a Tijuana boyhood. Though an essay on Edward Abbey and the “Dead Ed” industry in Tucson seems tacked on for regional effect, Urrea’s pieces are otherwise ordered to give a nonlinear treatment of time. The best, titled “Sanctuary,” returns to his childhood and introduces us to Mama Chayo and her husband, Abelino, who looked after the young Luis while his parents worked. The book ends flatly with a rambling piece, “Leaving Shelltown,” that describes Urrea’s driving east through desert and over prairies, the attendant ghosts supposedly traveling with him. Lacking narrative drive and depth, Urrea’s book is not quite a memoir, but the fragmented notes that compose these essays are often moving nonetheless.